A big favourite with children, Marmot Paradise is an animal park dedicated to these friendly mountain animals. 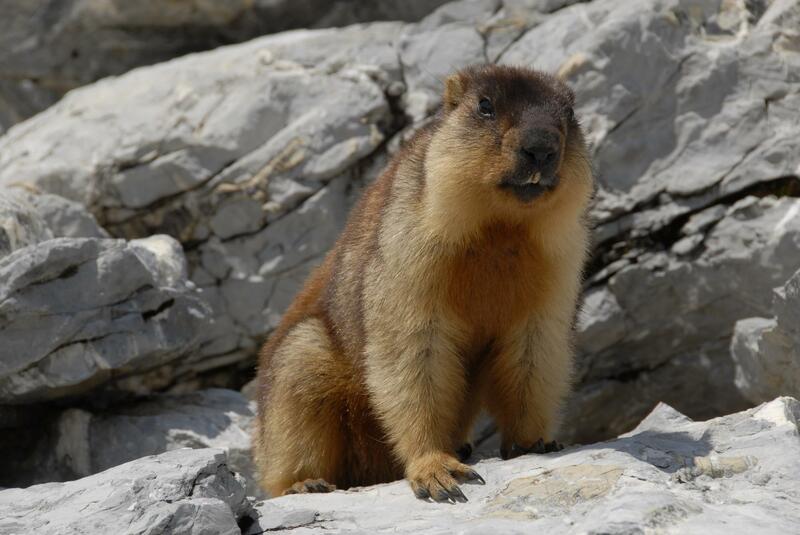 Located at Rochers-de-Naye, the destination of the cog railway from Montreux, the park has species of marmots from Switzerland and all over the world. Marmots’ paradise is located near the arrival point of the Montreux-Bernese Oberland cogwheel train on the summit of Rochers-de-Naye (2.042 m). This park presents 11 European, Asian and American marmot species in seven predator-safe enclosures. These impish creatures can be observed frolicking from the observation tower. It is even possible to see a real burrow from within, which is particularly appreciated by children. Marmots’ Paradise also explains the marmots’ daily life and distribution in the world with an exhibition and various brochures. Before the visit, a didactic brochure can be downloaded from the Internet. Lovers of vast expanses can continue observing marmots in the wild by going on a hike.